Courtesy of Berkshire Hathaway HomeService, Jennifer Friend. Seller will entertain offers between VR $3,995,000 – $4,195,000. STUNNING **BRAND NEW CONSTRUCTION- Finishing stages! 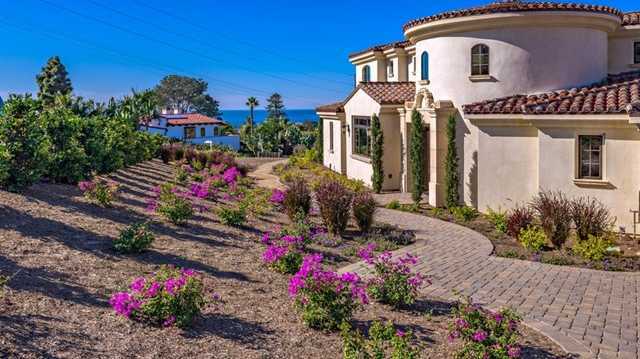 **California Coastal Mediterranean Estate thoughtfully designed to maximize the relaxed surf and sand lifestyle. Sit down ocean views from every level. This home features an open floor plan with living areas that extend beyond space and functionality. Take advantage of indoor/outdoor entertaining -enjoy majestic views of Solana beach Coastline, Ocean breezes and Magnificent Sunsets!